This weekend with Me, Craola, Chet Zar and MORE! FREE PRINTS ARE ALL GONE! BLACK FRIDAY PRINT GIVEAWAY AT THE ZF x LA STORE! 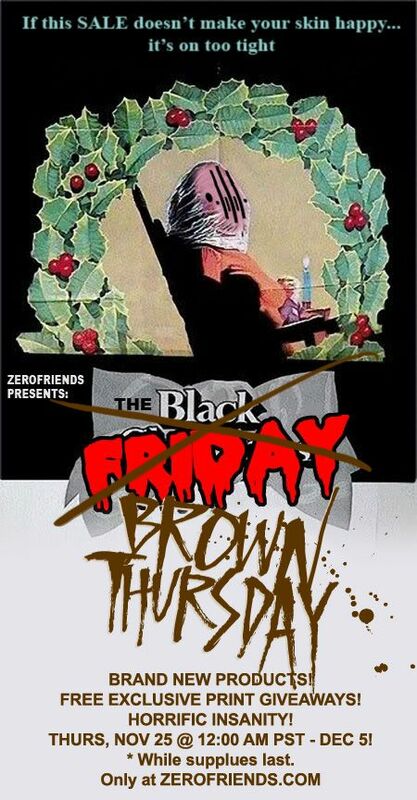 FULL "BROWN THURSDAY" ZEROFRIENDS SALE REVEALED! THE MOVIE KNIGHTS ARE ATTACKING LA! ZEROFRIENDS LA OPENS THIS SATURDAY!! !